Yesterday's severe weather outbreak turned deadly in Nebraska as several strong tornadoes touch down across the state. The two confirmed fatalities are the first since 2004 for the state, as tornadoes ripped through small communities Monday afternoon. 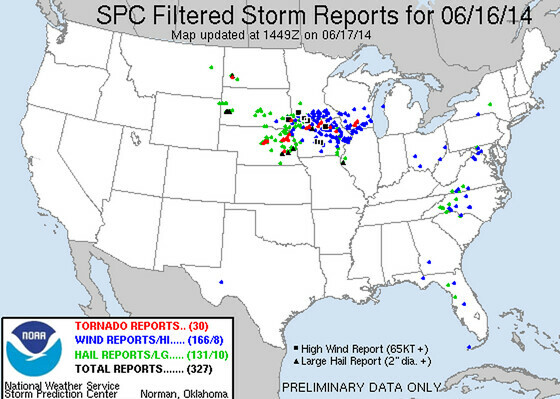 There were 32 tornadoes reported Monday across six states, with 233 wind reports and 193 hail. Expect these numbers to be adjusted as duplicates and erroneous reports are sorted out, but one of the bigger severe weather days of the year nonetheless. 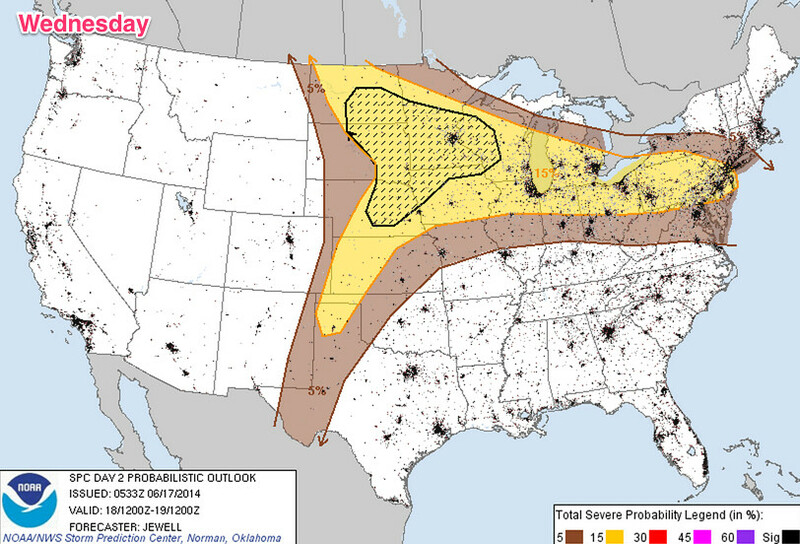 The severe weather threat sticks around at least through Wednesday for much of the north central United States. 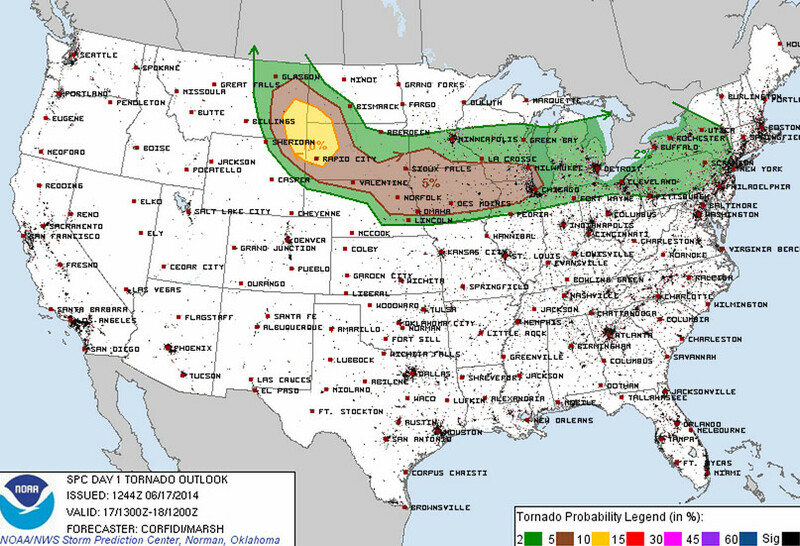 Today's greatest threat will be from western South Dakota into southeast Montana -- but the tornado threat extends all the way east to Chicago. 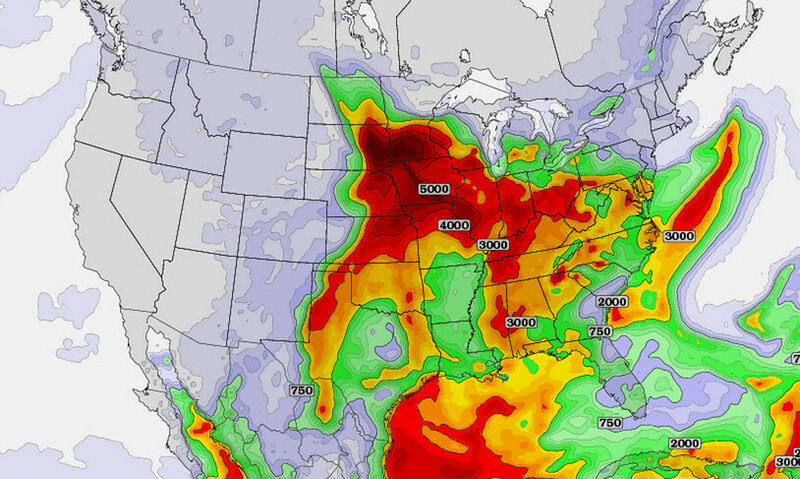 Wednesday could be even more active for many of the same areas hit with Monday's severe weather outbreak. Look at these CAPE values forecast for Wednesday afternoon (TwisterData.com). The Storm Prediction Center has a hashed outlook for this area, meaning 10% or greater chance for severe weather within 25 miles of a point.